Today we received another blessing from above - 6+ inches of snow. 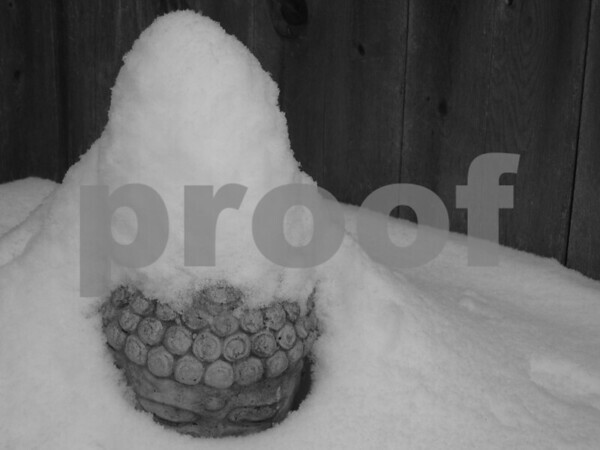 Both me and our BYB (Back Yard Buddha) officially agreed that we dislike snow immensely. I am starting to have fantasies about moving to Arizona. The Buddha would hate it in Arizona, Pete. It's just a big dirt bowl with chem-lawns and golf courses that are way out of place.